New FAQ Database opening up soon! We decided on opening up a FAQ Database on the board, which will provide you with useful informations on any of our tools. (eg tutorials, general informations on T-scripting, etc etc). However, we are still in the need for people willing to write some articles for us. So if you are having any inside-knowledge on our tools and are willing to help others, by writing a tutorial, or just a hint on how to do something, then please contact us (paul@trescom.org). (or write us a private message on our board (either to Remdul, or Madppiper)) It does not need to be the world’s best tutorial for now, since you will be capable of updating the tutorial whenever you feel like it. The FAQ section will be accessible for all people (including non-registered people), but nobody, except from the moderators, will get a chance of posting in there.Well, hope that some of you will be willing to help us out on this. Let’s get our modding-community rocking! The FAQ Database will open up soon, once the first few tutorials/howtos come in. Thanks! 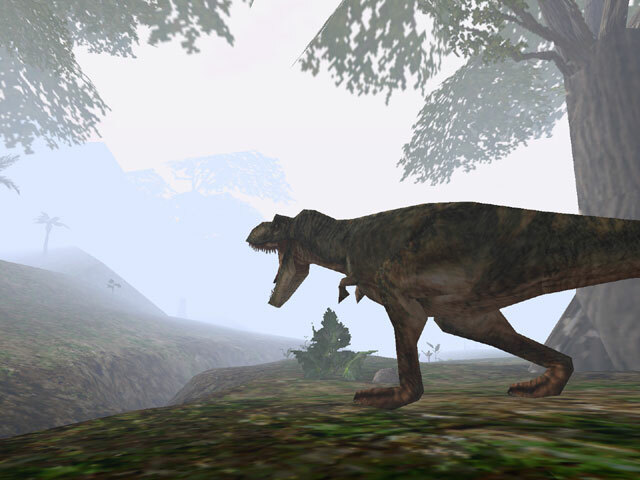 Asjad is currently working on an updated skin for the T-rex, which is supposed to be closer to the orginal movies. Once it’s finnished it will of course be available for download. Andres released a new version of his swp compression tools, allowing you to smaller the level-file-size even more. So make sure you download the new tool here. Rebel also updated his T-script generator, making it even easier for you to generate T-scripts! You can download the file here.